Bowhunting is a great way to get up close and personal with your targets. The sport requires skill and stealth, but patience is definitely a virtue for bowhunters looking to hit their target. When it comes to bowhunting, most people are unclear on the requirements and what it takes to excel. Without expert advice, it could be a daunting prospect to succeed. What makes bowhunting so special is the fact that you need a lot of skill to accomplish the task. Instead of shooting from a couple of hundred yards, you will be closer and you have a limited amount of time to make your decisions. 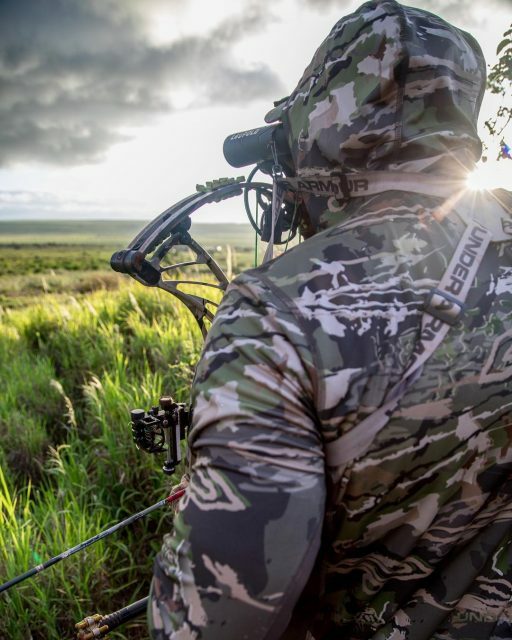 In this article, we have discussed some of the top bowhunting tips to help you excel in this wonderful, adrenaline filled sport. Longbow: The longbow is also considered the traditional bow and it is one of the most affordable options you could find as a beginner. The longbow is a piece of wood with a string attached and can also be self-made. However, more modern longbows are much more durable and they are constructed from composite materials. Recurve bow: The recurve bow is considered the evolution of the longbow and it is much easier to use and offers a greater deal of power. With curves on each end, it adds more stability. Most modern recurve bows are made from carbon fiber and fiberglass to reduce the overall weight. Compound bow: The compound bow is the newest model on the market and has only been around since 1966. It is perfect for reducing the weight that you need to hold and it makes it much easier for beginners to start with. The compound bow is expensive but gives much better accuracy at longer distances. Bow sights have evolved over the years and while it is possible to use the arrows to aim at your target, this will lack some accuracy. When it comes to bow sights, there are multiple different models and these are simplistic in the form of simple dot sights or the more advanced sights with a rangefinder included. Depending on your skill, you need to decide which one will work for you. The bow stabilizers are 5-8 inch screws that mount in the stock of the bow and they offer a great deal of stability. Along with the stability factor, they also allow you to silence the sound of the bow, which may allow you to hit more than one target. The arrows are what will propel your broadhead to the target and you should choose these with real care. While there are many different types of arrows to choose from, carbon arrows are some of the best. They are much lighter, but durable and can be reused as well if needed. These additional pieces are attached to the arrow and they will make the first impact. While you can have some of the sharpest broadheads, you can also find broadheads that will expand once they make contact. These are a little more expensive, but they do more damage and should ensure a kill. However, the might damage some meat. Having a decent set of binoculars will be important and they allow you to scope out the targets. Since you will be hunting at close range, the binoculars will need a decent field of view and they should enable you to focus in at close ranges. Additionally, a rangefinder can also be helpful as this makes a massive difference when bowhunting. You might want to read the Factors to Consider before buying Binoculars for Hunting. Here’s a list of the Top 6 Best Binoculars for Hunting. If you are on a budget, check the list of the Top 10 Best Budget Binoculars for Hunting. A good field knife is important for hunters and this enables you to kill the animal if the shot did not. It is also ideal for skinning in the field. It is always worth noting that the longer the blade, the better it will be for larger animals like deer. Review of the Top 6 Best Hunting Knives. Finally, you will look at the hunting clothing and with decent hunting clothing; you could set up and be ready for the wait. Since you will be in close proximity with your targets, your hunting clothes will play an important role to keep you camouflaged, and out of sight, which might allow the target to come a little closer. Here’s a list of the Top 10 Best Hunting Boots. Looking for insulated boots for cold weather? Check out the list of the Top 5 Warmest Hunting Boots for Cold Weather. When it comes to bowhunting, practice makes perfect and this is all part of the preparation process. By practicing regularly, you will become much more accustomed to your bow and this enables you to be more accurate in the field. Once you have completed your practicing schedule and you have a found a place to start your hunting expedition. It is important to scout the area. This should give your insight on where you might find your targets and where you could set up your stands. Most ranches will have stands in place at hotspots, but it won’t do any harm to have your own stand if you feel the need to move and set up elsewhere. You can find out information on the animal behavior from locals in the area you will be hunting, as well the game owner. These game farmers will definitely know the hotspots and they should help you find your ideal target without all the waiting. Nevertheless, Patience will still be important. Nothing can be more frustrating than having your gear fail on you in the middle of a hunt. This can be countered with regular gear checks and to ensure that everything is up to standard before you set out for your hunt. It is also important to carry all the gear with you, as you might need to use it in the middle of the hunting trip. Having your bow tested and checked by a professional or expert will ensure everything is fine. They might charge you, but things like wear and tear can easily be spotted before it becomes a real problem and you are left stranded in the field. This is rather imperative to do if you are hunting dangerous game in places like Africa. Once you are ready to start your expedition, you will need to set up your stand or you can use the stands on the ranch. A portable tree stand is always helpful and will enable you to see your target from a higher vantage point. It is always recommended that you set up the stand around 20-yards from where your expected target will be. This makes it possible to hit them with more ease. As we have already mentioned, patience is key here and you should learn to wait for the target and not rush and decide to move your stand too early. This might chase away anything that might be close by and you could lose an entire day of hunting and waiting. This might be one of the most daunting experiences and while “buck fever” will set in, you just need to keep in mind why you are doing it. The first shot might be stressful and you will have a lump in your throat, but after the shot, this will be released. After the shot, you might need to follow a blood trail and this is all part of the fun when it comes to hunting. You will eventually come across your target and you will need to remove the internal organs. This can be done at the camp but doing it in the field will keep anything from spoiling and being toxic for your life. Finally, you can take the game to your local butcher and have them process the meat into steaks or whichever type of meat you like. This is a great way of creating sustainable food and saving some cash at local supermarkets. Q. What type of game can I hunt with a bow? A. With the advancement in the technology of bowhunting, modern bows are now much more powerful and the broadheads are razor sharp. With these advancements, most game species in the US can be hunted successfully with a bow. However, beginners are not advised to hunt dangerous game with a bow and arrow. Q. Is bowhunting legal or considered cruel? A. Some people might consider it to be a cruel way of hunting, but it is no different than hunting with a firearm and missing a shot. Bowhunting is legal in all of the US states with the exception of Oregon and you could possibly find any target you are searching for around the world for bowhunting. It is worth mentioning that it is a little expensive. Q. Is bowhunting harder than hunting with a firearm? A. Bowhunting takes you up close and personal to your target and you will need to have a little more patience to wait for the target to get in close before you take the shot. A lot of people become anxious and they might scare off the target, which might be a little damaging or problematic for your chances of hitting your target. While hard, bowhunting can be one of the best ways to get that adrenaline pumping and experience the outdoors. With these bowhunting tips and our bowhunting equipment list, you should be able to easily hit your target without any troubles and have some fun whilst doing it as well. We would like to thank you for reading this article and we would like you to share some of your knowledge on bowhunting. Let us know in the comment section if you have ever done it and if we might have missed any additional tips.